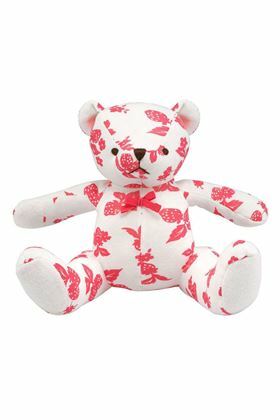 Welcome new arrivals to the world with beautiful baby gifts like this sweet teddy made from super-soft cotton jersey in colourful Mono Strawberries print. With a sweet stitched face, towelling details to the ears and feet and a little neck bow. This Moulin Roty Duck Comforter is a wonderful way to introduce babies to all the members of the Grand Family range by Moulin Roty. 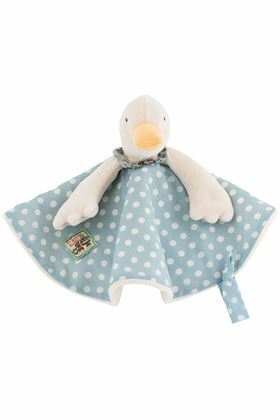 Jeanne the Duck is a wonderfully soft baby comforter which makes a fantastic new baby gift.